So I got a new bow. Or did I? Anyway, this internationalism got me to thinking about my bow. Like most modern recurve bows, it’s made up of interchangeable parts, with standardised fittings (such as ILF limbs), sockets, weights, lengths and so on. It’s not really one thing. What I call ‘my bow’ is actually many things that become one when I assemble it and use it. I made choices about those things, but where they come from is mostly out of my hands. I suddenly wondered how far my bow had travelled. So I started looking. The riser is a Hoyt Matrix, second hand, 2003 vintage. I love the purple fade. I emailed Hoyt to ask them where it was made, nearly ten years ago, but they didn’t get back to me. 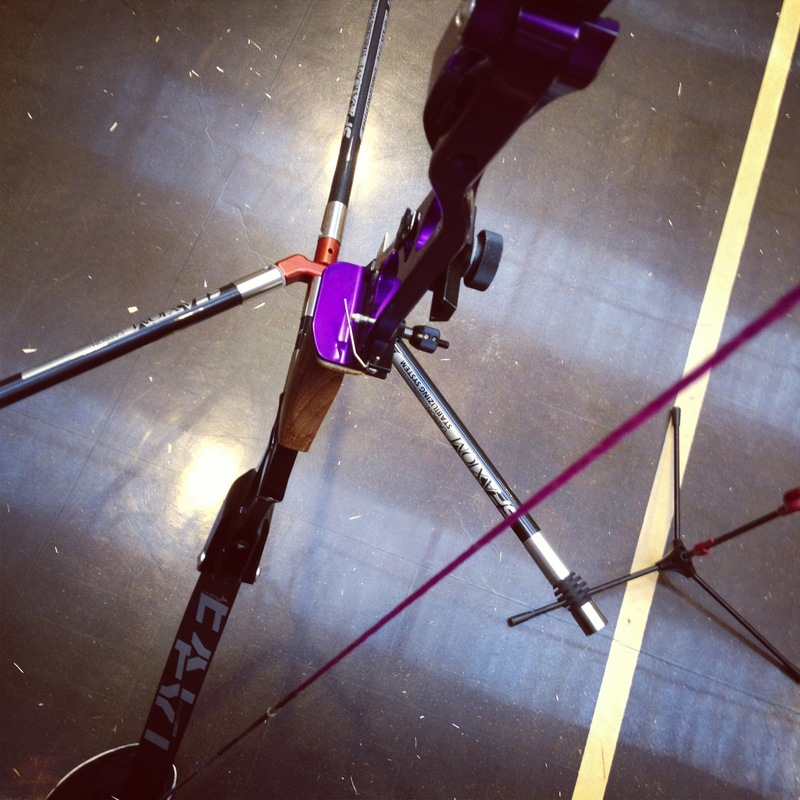 Internet nosing suggests all Hoyt bows are made at their facility in Salt Lake City, Utah, in the USA. That’s 4876 miles from London as the crow flies, not including whatever it did it the ten years it was owned by someone else. The limbs are by Uukha. EX1 “Carbon Monolith” (#38). These are made, with great care, in France. On their website, they proudly say: “We have chosen to develop our bows in France, and to produce it in our own workshop. We do not have any subcontracts in Asia or Eastern Europe.” Uukha are based in Roubaix, a famous cycling destination, and a mere 180 miles to London. Almost locals. The stabilisers are Axiom by Sebastian Flute. I emailed them. “The Sf-Archery products are made in the Win & Win factories in Korea and China. In the case of Axiom Stabiliser set, it’s made in China.” The email was actually signed ‘Sebastian Flute’. Nice chap. I don’t know where Win & Win’s factory is, but given that the main industrial centre of manufacturing in China is centred round Shanghai, I’ll take the distance from there. 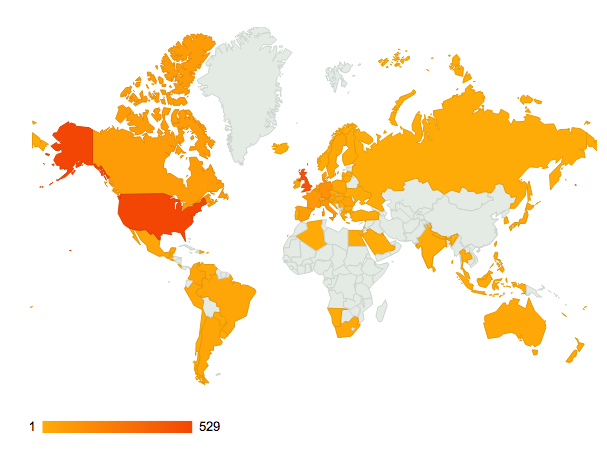 5727 miles. The sight and button are made by Shibuya of Tokyo, and the back of the button packet proudly says ‘Made In Japan’. The various Shibuya recurve sights were ubiquitous at London 2012 (according to their website, they were used by over 50% of participants). I have the older, aluminium model. That’s 5979 miles, twice. The clicker, my wristguard, and my arrow nocks are by Beiter of Dauchingen, Germany. I mailed them and asked if they manufactured their stuff there. “Yes. We do not manufacture anything out of our company; all our vendors are from the region; we do import only the carbon tubes for the stabilizers from the US.” Thank you, Mr. Lorenz. 557 miles, thrice. The arrows are made by (surprise!) Easton, also of Salt Lake City, Utah. 4,876. I have a set of all-American ACC’s, although apparently they manufacture some of the indoor arrows overseas. My tab (KSL Gold), and my fletchings are made by Arizona Archery Enterprises. They got back to me: “Yes, the KSL tabs are manufactured at our facility in Prescott Valley, AZ, USA.” 5300 miles, at least. My rest and my finger slings are made by Spigarelli. They got back to me. “Good morning. Both of them are produced in Italy.” Spigarelli are based in Rome. Sadly, Rome is over 1,100 miles from London. Just thinking about the place makes me hungry. Finally, the grip is not the original Hoyt grip. It is a lovely wood grip made by Svenning, who the previous owner thinks were a Swedish company. If so, they must have folded before the internet era, because I haven’t been able to find out anything about them at all. So ‘my bow’ has already travelled at least 35,000 miles from at least seven different countries to sit in my hands, not including thousands more via distribution centres, warehouses, shops, and post offices. But where do we stop? One thing you quickly find out about recurve archery is the large number of near-mission-critical items required. Where was my bowstand (SF), my quiver (Easton), my bag (also Easton), or my string made? Or the less critical stuff: my chestguard, bracing height gauge, beeswax, tools… About the only bit of equipment that appears to be British-made is my bowstringer, by KG Archery of Nottinghamshire. (There are, of course, several British manufacturers making top-end recurve equipment, such as Border and Petron, along with many world-class traditional bowyers). 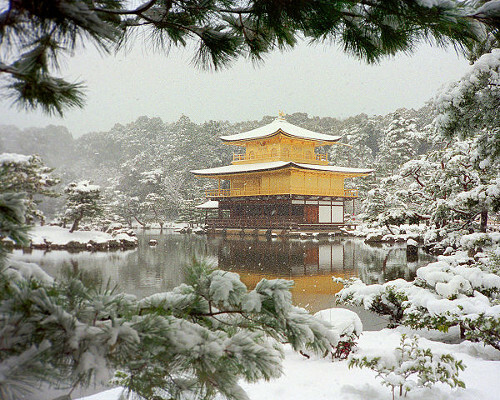 “On visiting the Gold Pavilion Temple in Kyoto, Douglas Adams was impressed at how well the 14th-century structure had weathered the passage of time. His Japanese guide told him that it hadn’t weathered well at all; in fact it had burned to the ground twice in the 20th century. “So this isn’t the original building?” Adams asked. Exactly. In this sliver of an era where modern archers don’t make (or directly commission) their own equipment, the essence of my bow is my intention to create it and use it. It is a persistent idea. 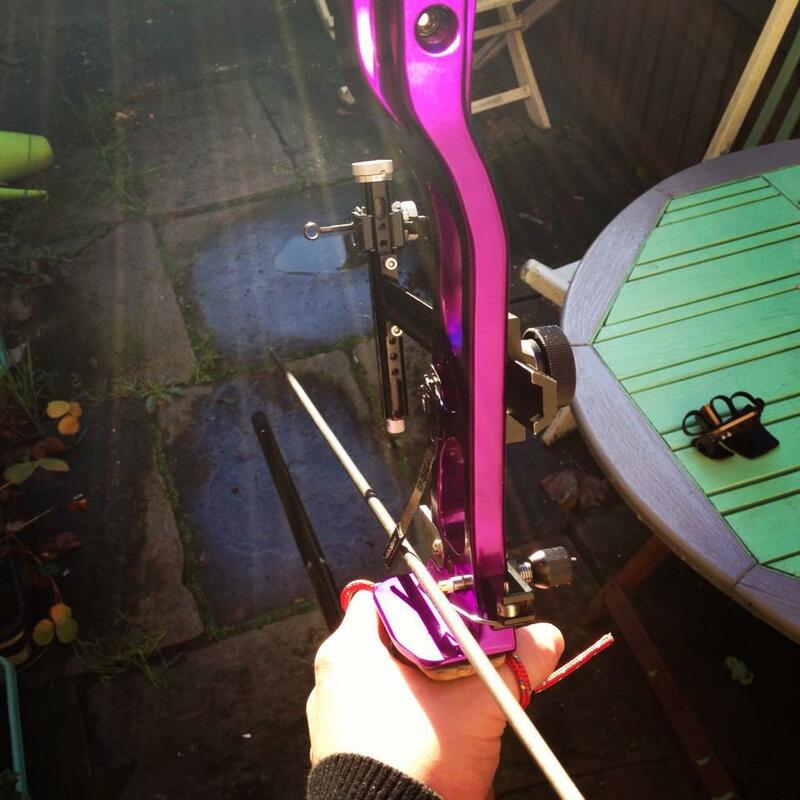 The parts may change, but the idea of ‘my bow’, the thing personal to me, stays the same. Remember that the next time you realise you’ve left your tab on the kitchen table.